Emerson Process Management (India) Pvt. 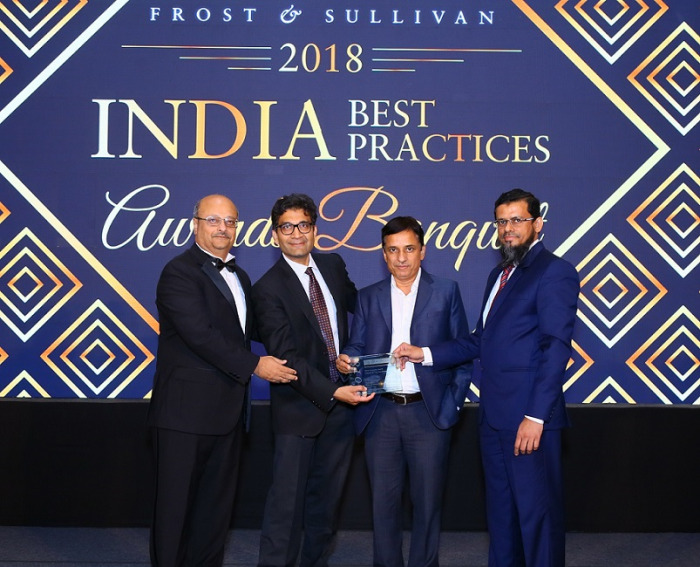 Ltd. was named “Indian Industrial Valves Company of the Year” at Frost & Sullivan’s 2018 India Best Practices Awards Banquet held in Mumbai. Emerson is a leader in the automation solutions industry, providing solutions to challenges through innovative technologies and core initiatives, such as Project Certainty™ and Operational Certainty™. These programs have enabled customers to achieve transformational improvements on capital project execution and optimize inefficient work practices, while introducing them to advanced digital technologies and providing clear roadmaps for top quartile performance. As a result, customers in the region have reduced the billions of dollars lost annually due to project excesses and subpar performance. Frost & Sullivan awards recognize companies across regional and global markets for outstanding achievement and performance in regional and global markets and for superior leadership, technological innovation, customer service, strategic product development and so on. An eminent jury deliberated over structured data, in addition to research-backed presentation/recommendations from in-house senior industry experts, to shortlist nominees. Frost & Sullivan’s industry experts track markets and companies by holding detailed interactions with industry experts, market participants, end users, other stakeholders/value chain players, and by extensive research of proprietary data to compile the Jury Evaluation Matrix. Following evaluation and deliberation, the jury finalized the awardee from the nominees.